Caliber conversion kit for Dillon XL 650 progressive press. 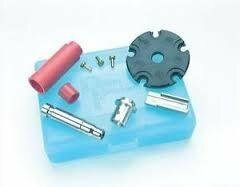 Kit includes: shellplate, locator buttons, powder funnel and casefeed adapter parts. We carry a wide variety of high quality reloading equipment and components for shooting enthusiasts across Canada as well as factory and remanufactured ammunition. "I have shot over 10,000 rounds of WASP 9mm without any issues. Excellent ammunition." As active members in the shooting sports in Alberta , we at WASP Munitions understand the need for quality and economical products for the the shooting and reloading enthusiast. WASP Munitions is a Canadian privately own and operated company located in Sylvan Lake Alberta. We strives to have 100% customer satisfaction. 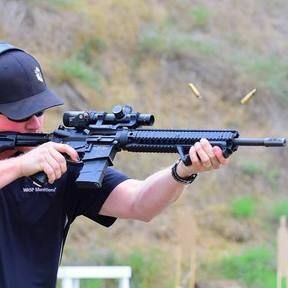 From competition shooting to plinker , we strive to make every shot count. WANT TO PICK UP YOUR ORDER AND SAVE ON SHIPPING? You can place your order online and select “local-pick up” for shipping option during the check out process. Once your order is processed and you have been notified, it will be ready for pick up at Western Mobile and Office Depot in Sylvan Lake. (5004 46 Steet Bay 6) during their regular business hours , Monday-Friday 11:00-3:00.